Carpal tunnel syndrome happens when there is a compression of the median nerve in the wrist formed by the carpal bones and the transverse carpal ligament – a strip of tendon that supports the wrist from the bottom. 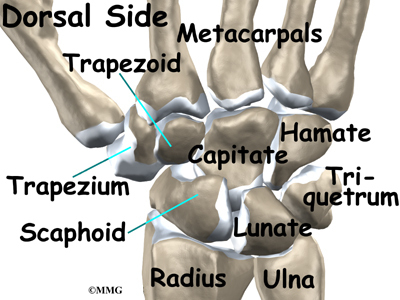 The Carpal Tunnel is a narrow passageway in the wrist where tendons and nerves pass through to control the hand. These nerves and tendons are covered with a sheath of fluid that protects it. When a person uses the hand repetitively, swelling can happen due to the irritation of the chamber. As it swells, there’s no more space to accommodate the swelling thus the nerve is being compressed which results in numbness and tingling in the hands, primarily the thumb and thumb pad, index, middle, and inner half of the ring fingers. When a person uses their hands on a repetitive motion, like for example when typing, there is a tendency that it can result in carpal tunnel syndrome. There’s no known real cause for the Carpal Tunnel Syndrome as it’s an idiopathic condition but those that are more prone to suffering from this syndrome are women and those with diabetes. Around 80% of cases of Carpal Tunnel Syndrome are women and studies are still being conducted to understand why majority of cases are females.